Check your refund status, make a payment, find free tax preparation assistance, sign up for helpful tax tips, generate a login security code, and follow the latest news from the IRS - all in the latest version of IRS2Go. Download IRS2Go and connect with the IRS whenever you want, wherever you are. IRS2Go is the official app of the Internal Revenue Service. Thanks for using IRS2Go! This update contains minor bug fixes & improved support for new devices and operating system versions. I submitted my taxes not even two weeks ago. 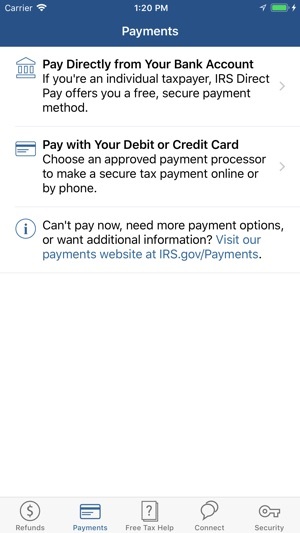 I owed the IRS a past debt of 800, this app went above and beyond to not only tell me that my return had been accepted but that my past debt was deducted from this year's return and that my remaining return would deposited to my bank. They gave me the exact date it would even be deposited. Way more information then I expected. I will definitely use this app next year. 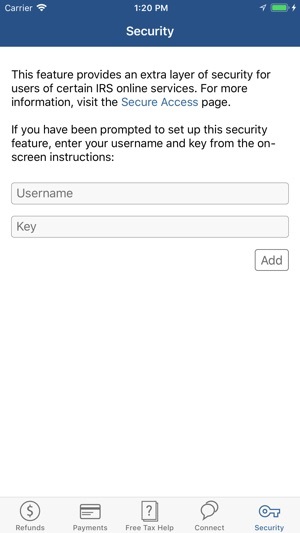 The app itself is well-designed and easy to use. I’ve never had any issues with it functioning as it should and providing me with the necessary information. 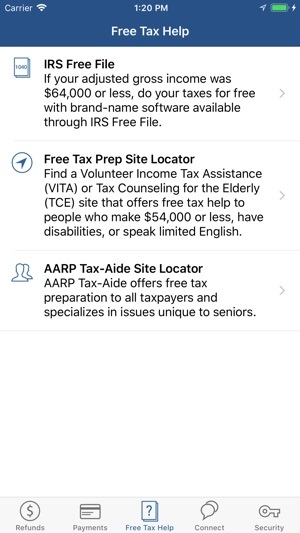 The app isn’t supposed to provide any more information than the IRS page that provides the same purpose. 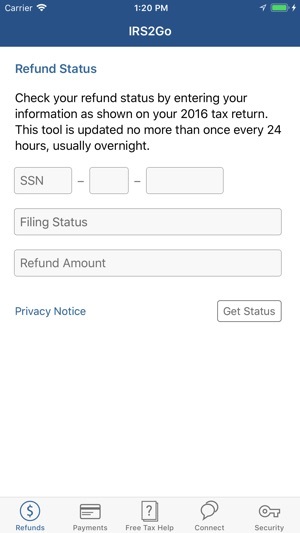 I download this app each year after I submit my taxes!